A-Class Payment Credit: Up to $500. Offer valid for select vehicles contracted before April 30, 2019. This first payment offer is only valid for a 2019 A-Class Sedan. Offer only valid for retail or leased vehicles financed through Mercedes-Benz Financial Services. Subject to credit approval. Please see your local authorized Mercedes-Benz dealer for full program details. Mercedes-Benz is synonymous with luxury. Whether you’re shopping for a Mercedes-Benz sports coupe or a Mercedes-Benz SUV for sale, you can expect a feature-rich cabin, distinctive style, and capable but efficient engines. From entry-level models for a reasonable price like the CLA to vehicles that set benchmarks for the luxury industry, such as the S-Class and G-Class, the new Mercedes-Benz lineup offers something any New Haven shopper would love. 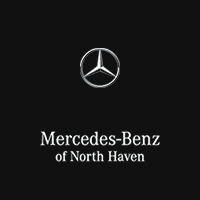 You’ll find 120 new Mercedes-Benz vehicles for sale at Mercedes-Benz of North Haven! Explore your options, then take a few moments to get pre-approved for a Mercedes-Benz lease or financing plan. Why Buy or Lease from Mercedes-Benz of North Haven? Mercedes-Benz of North Haven are brand experts, meaning we can assist you with everything from finding the right Mercedes-Benz SUV for sale to choosing between leasing vs. financing to keeping your vehicle in great condition. Our sales and finance teams will work with you to find a vehicle that suits your needs in our new or used inventory or in our ever-changing lineup of new vehicle specials. Once you’ve selected the car for you, our service team and parts department will help you keep it in the best possible condition for years to come! If you have any questions about our services or wish to test drive one of the vehicles shown above, contact us or visit us near Cheshire and Branford! After buying or leasing your perfect Mercedes-Benz vehicle and are ready to hit the roads, follow our North Haven local guide for the best hot spots, like restaurants in North Haven or the best parks!